Other Details: Mondays to Fridays except bank holidays. Other Details: Wednesday 7th October 2015 for Taviistock Goose Fair, then annually when the Goose fair is held. It seems that these were all registered for the wrong date as the original registrations above are all for the 7th October, whereas the new variations at the top of this post are all for the 14th – when the fair is actually on! You can imagine how pleased I was to see that. You can then imagine my disappointment when trying the site again on Monday nothing had changed at all. Just to point out that stagecoach have dropped a massive one there by registering the goose fair park and rides to run One whole week before Goose Fair, which is on 14th October. I never knew St Budeaux had a taxi bus. not seen it around before but how do the taxibus work? "I was talking to a driver...." Heaven help us. Unusually for Stagecoach, then, they've not bothered to register these new routes, which should make for some fun at the end of the month. That said, there are rumours of some express coach services in the pipeline which may, or may not, be Megabus related. Whatever is happening, I expect that anyone who's still dreaming of a bus war with Citybus anytime soon will be most disappointed. Lets hope that is true. They have not registered them yet though so nothing will start the end of the month. 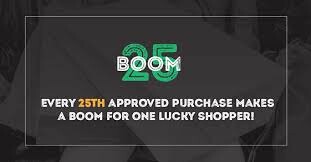 They could register them end of the month to start In January which coincidentally was a date I have heard being mentioned for Stagecoach round 2 as well. Graham, you are doing an excellent job in collating the many service changes taking place in Devon and Cornwall. Having been a former Newsletter editor for the DG Society I can appreciate the amount of effort that goes in to getting all the information together. But it also needs to be 100% accurate to be of the maximum benefit to future generations!! 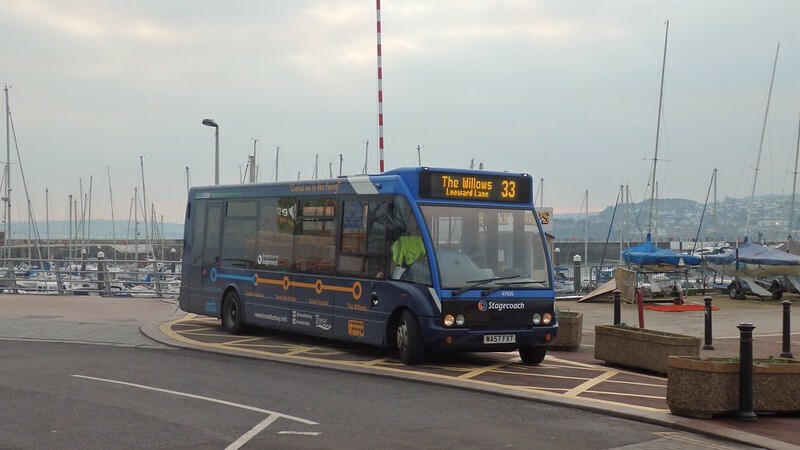 For example the 301 registration of Filers for 5 October is in connection with a roadworks shuttle at Muddiford while the B3230 is shut for rock stabilisation works during October. Although the main timetable is unchanged on Traveline, there is a link to the shuttle timetable. This is now due to start on 19 October. As someone who works in the industry, it's annoying that my two previous comments about the 301 appear to have been overlooked. Also, on the 672 there is only one 't' in the Abbot in Newton Abbot not two. The 672 will be passing to Newton Abbot Community Transport from 2 December and changing its day of operation back to Wednesday. Apart from the small gripes keep up the good work! Thanks anon. I was sure that I had published your original comments - but I still have not had the time to go in and add the details onto my route pages. It is in my to do list - but as you say it is time consuming! 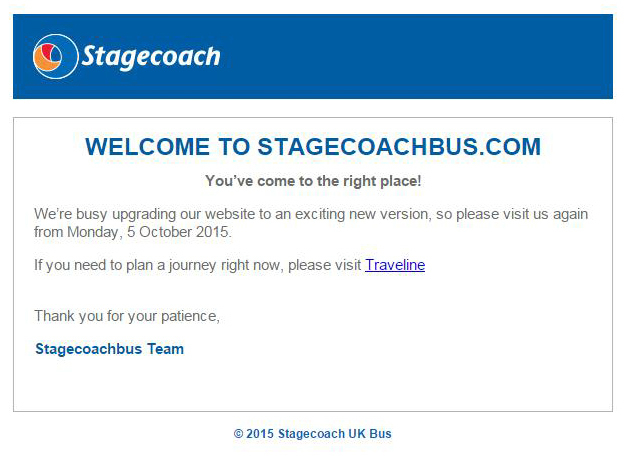 I suspect that Stagecoach will be spending the next few months trying to bed in their current services. If you check their twitter feed there are an awful lot of unhappy customers, particularly on the 1/X1 and the park and ride services. Not helped by the incompetence of Plymouth City Council and not syncing the traffic lights, especially around Derriford, when they moved the control room from the Civic Centre to Prince Rock. Plus long-term roadworks at Mutley Plain and the collapsed sewer at Outland Road haven't helped matters either! !